What happens when a company decides to remotely remove a key feature from your product? 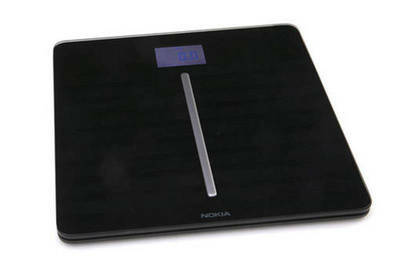 Our Head of Testing Paul Smith provides an update on the Nokia Body Cardio scales. In November, I did a “First Look” trial of health technology that included the Nokia Body Cardio scales. While they measured my weight and body composition, they also tracked “heart health” by measuring my standing pulse and pulse wave velocity (PWV). Nokia claimed it was the only device outside of clinical equipment to track PWV, a measure of arterial stiffness linked to cardiovascular health. On 23 January, I received an email from Nokia and an alert through the Nokia Health app telling me the PWV measurement from the scales was being pulled the following day because “after routine review, we now believe that this feature may require a different level of regulatory approval”. The scales are classed as a “wellness device” with the US Food and Drug Administration (FDA), which means they can’t make medical claims. Nokia decided to remove the PWV function as it could cause the device to fall outside this classification. While I could download my historical data, the PWV feature would be no more. A few years ago, you’d be safe thinking a physical product would retain as-bought functions throughout its life. But now, through internet connectivity, functions can be removed at will. Sure enough, on January 24, the scales stopped measuring PWV and, after an app update a day later, the chart disappeared. 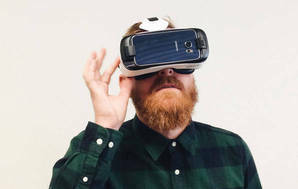 I was struck by how easy it is for manufacturers to change features of their internet-enabled devices. Just a few years ago, you’d be safe thinking a physical product would retain as-bought functions throughout its life. But now, through internet connectivity, functions can be removed at will. Of course, they can also be added. For example, Tesla pushes software updates through to its cars as more autonomous driving technology becomes available. The Body Cardio was sold with the PWV feature marketed prominently. In fact, I said in my review that the “heart health” measurements were the main reason to choose the Body Cardio scales over the cheaper Body+ model, as their other weight and body composition functions are identical. The Body Cardio cost $359 compared to $199 for the Body+. Nokia has pulled the scales from sale and is offering customers a full refund. I have until 31 March to accept the offer. If I do, the product will be deactivated through a firmware update and I’ll be left with a scales-shaped brick. The terms and conditions state I’m responsible for disposing of that brick (which contains a lithium battery, so needs correct electronic waste disposal). Alternatively, I can keep using the scales. At some point the PWV feature may return, though Nokia hasn’t said if and when this’ll happen. While Nokia’s actions minimise the damage of feature-loss somewhat, this episode leaves a sour taste in my mouth. PWV was a key feature of this flagship product that encouraged me to choose it ahead of other scales from Nokia and other brands. I’ll almost certainly go for the refund, but I’m not sure whether I’ll replace the Body Cardio with another Nokia product, or look to one of those other brands instead.